Los Angeles, CA (The Hollywood Times) 9/15/18 – For many years this reporter has been more than happy to review whatever came her way and speak with A-listers of all stripes. 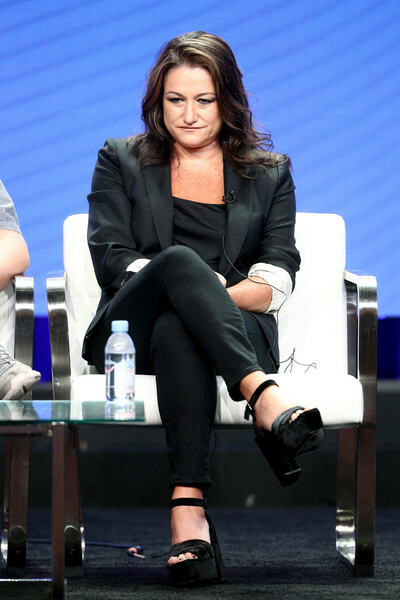 She has been there, done that, and seen it all from some of the world’s greatest studios, networks, directors, producers, and performers. 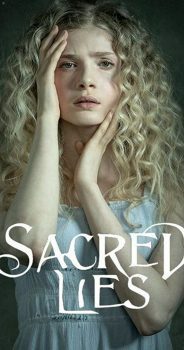 In SACRED LIES Minnow Bly, her family, and 100 other residents of their trailer park become tragically involved with a cult in the forests near Missoula, Montana. When the cult’s compound burns down and Minnow escapes minus her hands, she becomes a key suspect in the arson during which the cult’s Prophet died. 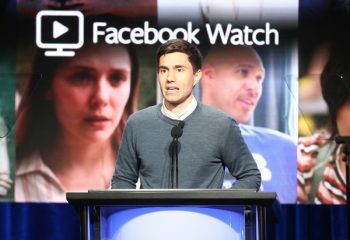 (L-R) Director/Executive Producer Jack Bender of Audience’s ‘Mr. 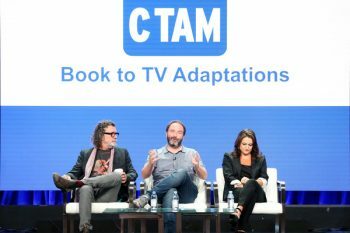 Mercedes’, Author Jim Gavin of AMC’s ‘Lodge 49’, and Executive Producer Raelle Tucker of Facebook Watch’s ‘Sacred Lies’ speak onstage during the CTAM Book to TV Adaptations portion of the Summer 2018 TCA Press Tour at The Beverly Hilton Hotel on July 28, 2018 in Beverly Hills, California. After kicking a young boy encountered in passing nearly to death, Minnow is interred in a Missoula correctional facility. Her sentence is for five years with the possibility of parole after a year on her eighteenth birthday. So the show’s dramatic tension resides in finding out what really happened in the woods and seeing whether Minnow will make parole or be transferred to an adult prison. That seems like quite a lot of ground to cover in five hours, but SACRED LIES makes it all work with rare brilliance. The worlds of the cult and the correctional facility may be unfamiliar to most of us, but there are enough good souls in the mix to guide Minnow through her journey. The “usual suspects” on the side of right are doctors, teachers, administrators, and agents of the law. Minnow’s murderous cellmate, Angel, blinks bright and dark with greater ambivalence. She seems to hurt and help at will. Is Angel a friend or a foe? Maybe we don’t know! The roles of Minnow and Angel are played by Elena Kampouris and Kiana Madeira. Their tumbling blonde and black locks and fair and dark faces are a perfect study in contrasts. explore basic questions of existence that impact ethical behavior from these differing frameworks. The dilemma Minnow must finally face with the Prophet is one of the most fundamental ones in situational ethics: do you allow someone whose actions you know to be evil to live or to die? And how do you deal with the guilt either way? There is NOTHING not to love about SACRED LIES! The dynamic cast is diverse and allows us to learn more about underrepresented communities without throwing too much into the kitchen sink. There is great disability representation and the women are strong and real. The acting in SACRED LIES is superb and the writing is splendid. The convincingly downscale sets seem to enter another dimension through artful design. Are you hearing this, HBO? First and foremost, SACRED LIES hammers home its central messages about personal choice and responsibility fairly and respectfully. The adults are held just as accountable as the children and teens. Prosocial as they genuinely are, the doctor and the teacher (soulfully played by Kevin Carroll and Katrina Law) have some dark patches in their respective pasts. The Prophet’s self-serving abuses of authority are rigorously scrutinized and resolved in ways that satisfy viewers on all levels. 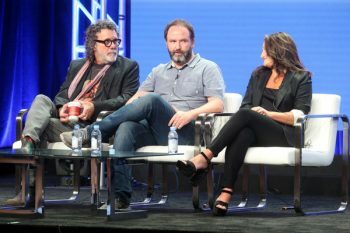 The show’s fascinating blend of flawed and complex characters makes it suitable for both sexes and all ages. It would be an excellent series to analyze in high-school English and ethics classes. After launching with three half-hour episodes, SACRED LIES dropped one eagerly-awaited episode per week each Friday night and ended tonight. The consensus was unanimous: we want a Season 2! To date this reporter has heard from SACRED LIES creator Raelle Tucker and lead actress Elena Kampouris as well as writer Taylor Gates, who co-hosted the series’ follow-up segments on “AfterBuzz TV.” We are all so anxious to see where the SACRED LIES story will lead us next!